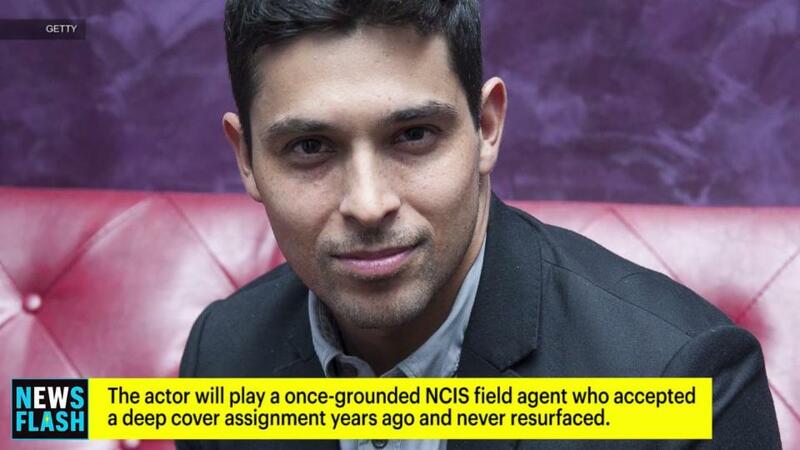 Wilmer Valderrama is on a roll. Having finished a high-profile stint on the twelfth season of Shonda Rhimes' premiere show, "Grey's Anatomy," the actor will now be headed to CBS' juggernaut, "NCIS," as a series regular. The announcement that Valderrama would be joining the show came weeks after Michael Weatherly left the No. 1 show on television. Stepping into Weatherby's shoes is something that Valderrama acknowledges and, in an exclusive interview with AOL last week, he called the invitation to join the show amid his exit extremely "flattering." Coming off an unexpected breakup with longtime girlfriend Demi Lovato, Valderrama is definitely keeping himself busy outside of acting. One of his focuses? Helping Old Spice on their campaign to help men around the world right their "hair wrongs." We caught up with Valderrama at Le Parker Meridien hotel in Manhattan last week to talk about how he scored his upcoming role on "NCIS," why his stint on "Grey's Anatomy" is his most talked-about project to date, his partnership with Old Spice and his unique morning routine. Congratulations on recently being named as a series regular on "NCIS"! How did that opportunity come about? I had done this amazing pilot for CBS called "Four Stars," and I was really flattered that my performance really raised an eyebrow at CBS. They asked me, since Michael Weatherly was leaving, if I would consider coming to join the show with Mark Harmon and the team and just have fun with it. I love those guys, and I think it's remarkable that they're the number one show on the planet. It was very flattering. Sentimentally speaking, as one of the first minorities to have a lead on such a beloved show, to come in and help with the story, in that way, was really exciting. Anyway, we worked it out, and I start next week! You're also coming off a stint on the latest season of "Grey's Anatomy." What was that experience like? It was the most feedback I've ever gotten on anything I've ever done. The fans were so sweet! Shonda Rhimes was incredible, too, by the way. She tailored this character for me. But yeah, I would walk around the airport and women would be like, "I was into you! Why did you have to die?!" It was very sweet. I had a blast with that cast. Did you know that your character was going to die? I knew that the arc was only going to be a certain amount of episodes, and we talked about what would be the most impactful way into nature. [Laughs] There's only one way [for that to happen], so I kind of had a suspicion. But what I focused on more was the character, what he was raising awareness for and how could I go in there and disturb the peace a little bit. And that's what we did. This campaign with Old Spice is all about "Righting Hair Wrongs." What's your biggest "hair wrong" from your past? It was probably just not understanding and not knowing better, because when I was growing up, my mom and dad kind of encouraged the Erik Estrada thing. (For reference, click here.) But, as I grew up and became "cooler" (in quotation marks), I realized that that was not the look I needed. At some point, I just didn't have the proper haircuts. My hair is too thick, and there's a lot of it, so I need all kinds of products. Sometimes I even cocktail a number of them together, so that it [actually] does something! That's why this partnership with Old Spice is so great, because I don't really like to have to think about [my hair]. I was never really programmed to think about my hair or my face, so if someone can figure it out for me, that's definitely better. What are your favorite products to use? But what I appreciate about Old Spice is that they've kind of made it easy for us guys to have a one-stop shop [for products], and they have all of the products that you need. For the type of man, which some of us are, who doesn't want to have to think about what brand works for this and what brand works for that, it's nice to have someone [like Old Spice] to just say, "Here's what you need." That makes it much simpler. What's your morning routine like, in terms of getting your hair ready? Sometimes I like to leave the product in from the day before, believe it or not. I don't shampoo as often [as other people do] -- I'll condition a little more, but sometimes products work really well when they just sit for a day or two. I don't want to shampoo too much, because I don't want to take off all of the oil from my head. My head also tends to get really dry, so what I try to do is wash it and as soon as I get out [of the shower], I let it dry 60% naturally, then I put the product in. Sometimes if you try to put product in your hair when it's too dry, it doesn't necessarily manage well. When I get out of the shower, the first thing I do is work on my beard a little bit, and then I'll get to work on my hair.